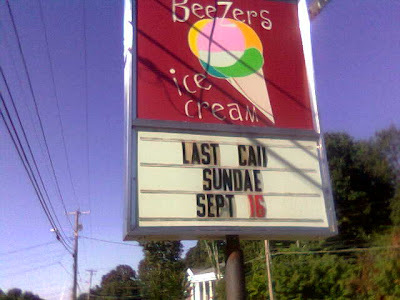 Bob from the L-inspired blog Why a Tittle sent in this double scoop of lowercase L's for Beezers Ice Cream: FlAVORS on one side, and LAST CAll on the flip side. Looks like somebody only bought two Ls. 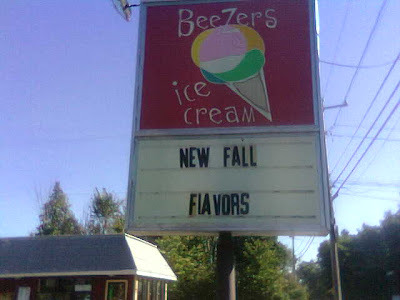 Good news is - Beezers' Ice Cream is totally great. Goooo Northborough, MA!